Set of replacement front brake pads by TRW. 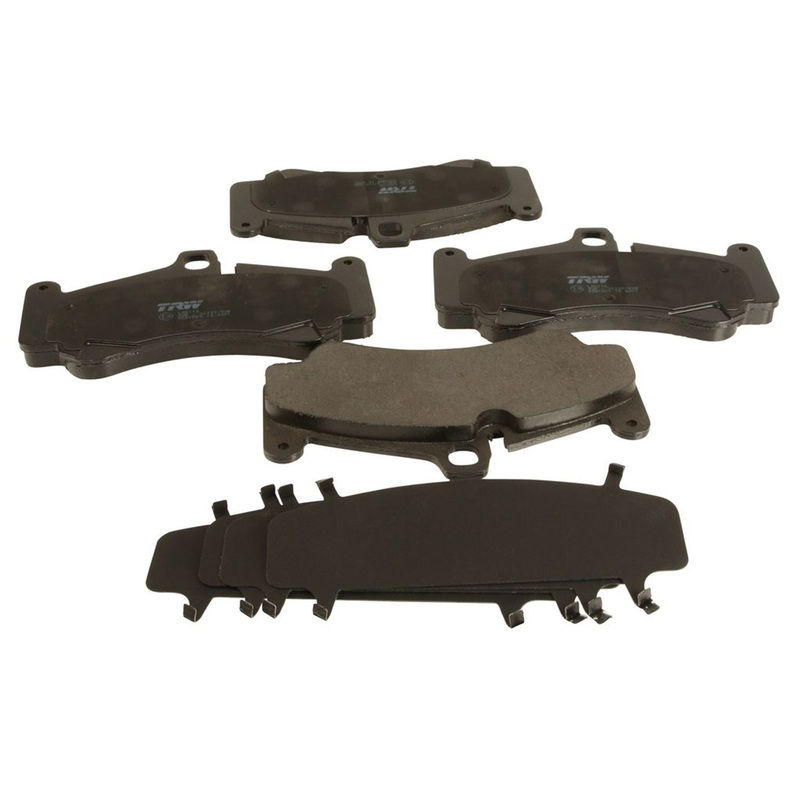 These TRW brake pads are a great set of street pads for your 997.2 GT3 or GT3 RS with steel brakes. The Genuine Porsche pads on the GT3/GT3 RS are made by Pagid but are very expensive, these TRW’s are a great alternative at a fraction of the price. TRW is a supplier of brake pads (and many other suspension components) to Porsche.